This page is dedicated to the Four Marks 2m repeater, GB3SN. 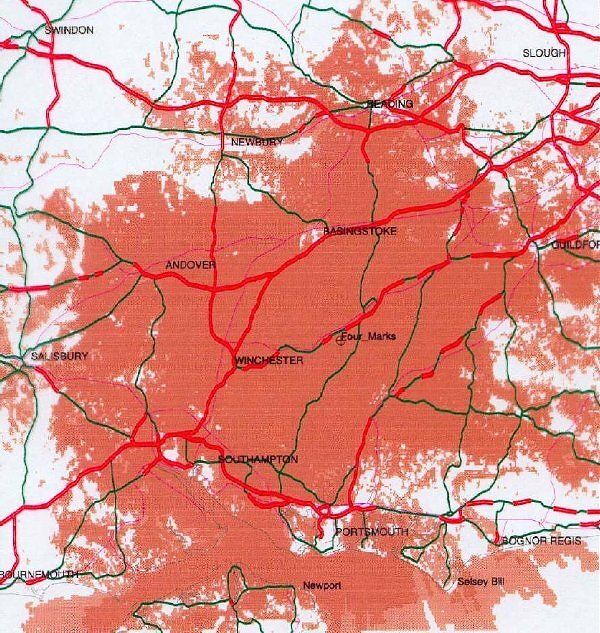 It operates on the 145MHz amateur band and is located at Four Marks, near Alton, Hampshire. GB3SN (Susan) is run by the UK FM Southern Repeater Holding Group. Like most other groups, it is run and funded purely by enthusiasts who give their time and money to maintenance of the repeater. Please follow the What's new link to find out about the latest engineering work - and its associated cost. The repeater serves most of Hampshire, and parts of Sussex, Surrey, Berkshire, Wiltshire and Dorset. Owing to a severe lack of enthusiasm for committee posts, the group has been unable to elect a full committee for the last few years. It is therefore run by three trustees, G8ATK, G0KVT and G4EPX. However, the downside of an inactive group is that it's easy for donations and membership to slide - we still need the support of regular users! To join, contact or donate to the group, please contact Mike, G8ATK who looks after the money matters. Tel/Fax: 01252 715765, or contact using email to this link. Why has this page been located here? The Farnham VHF Group home page is also on this site, thanks to the generosity of AVSI for the exposure, and although the groups are unconnected, they share a technical officer (G4EPX). And we needed somewhere to promote the group!